Memorial Day, the last Monday in May, is a significant day for most Americans. We all know at least one person who serves in the military. Memorial Day is the day we stop and remember those who died while serving our country. A long weekend, Memorial Day is the perfect opportunity to spend time with friends and family and celebrate the freedom we have while honoring those who defended it. Memorial Day is also an optimal day for cooking and eating. The weather is perfect for for breaking out the grill and kicking off BBQ season. Hurray for long nights spent cooking out on patios and sipping sweet tea! We have scoured the web for drool-inducing recipes and put together a spectacular spread from drinks to desserts. 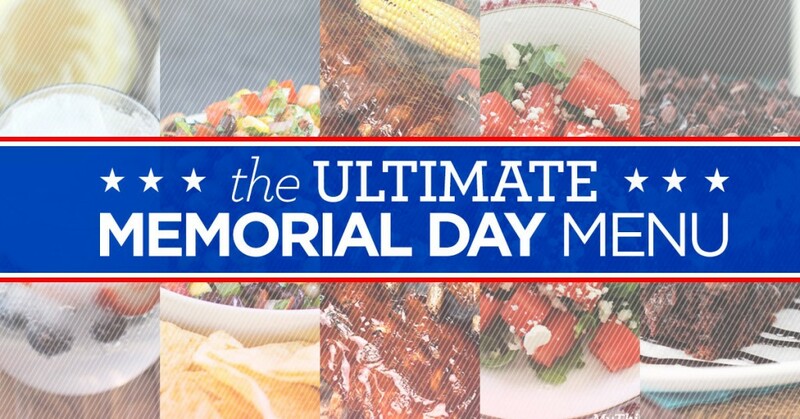 This is your ultimate Memorial Day menu. 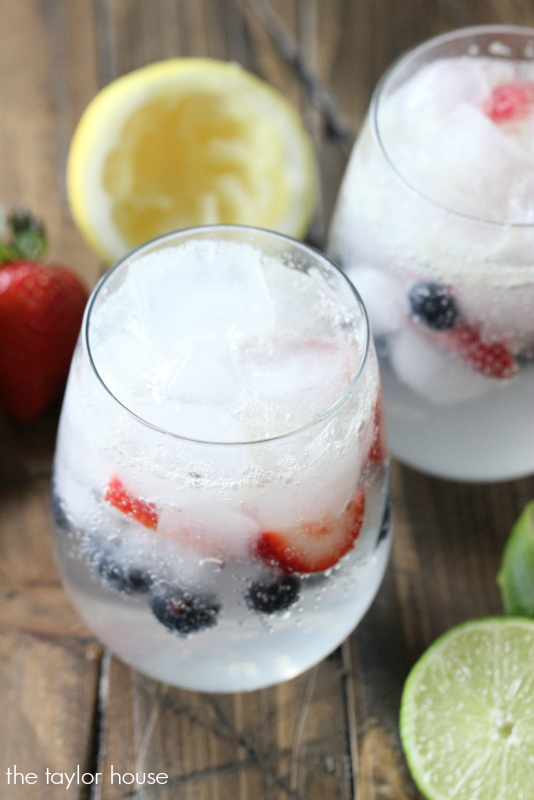 For a low-calorie, refreshing drink that can be enjoyed by all, whip up this easy Strawberry Blueberry Limeade. This drink is so pretty it makes any meal festive. For kids, serve in capped Mason jars with straws! 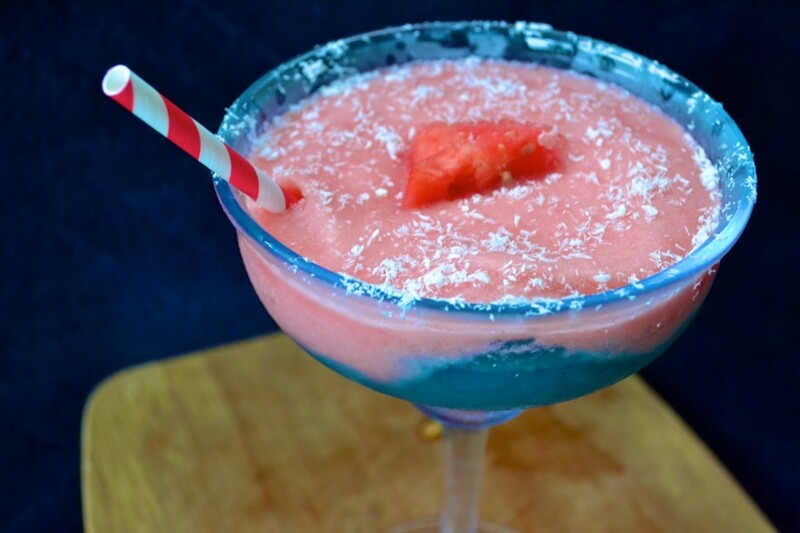 Adults can enjoy this Watermelon Blueberry Coconut Daiquiri. The daiquiri is made with coconut milk, frozen watermelon, and frozen blueberries and is relatively easy to put together. You could easily make a virgin version and it’s sweet enough to serve as dessert! If you’re going to serve appetizers at your Memorial Day party, you have to somehow incorporate bacon. Unless you’re a vegan, in which case, I’m sorry. 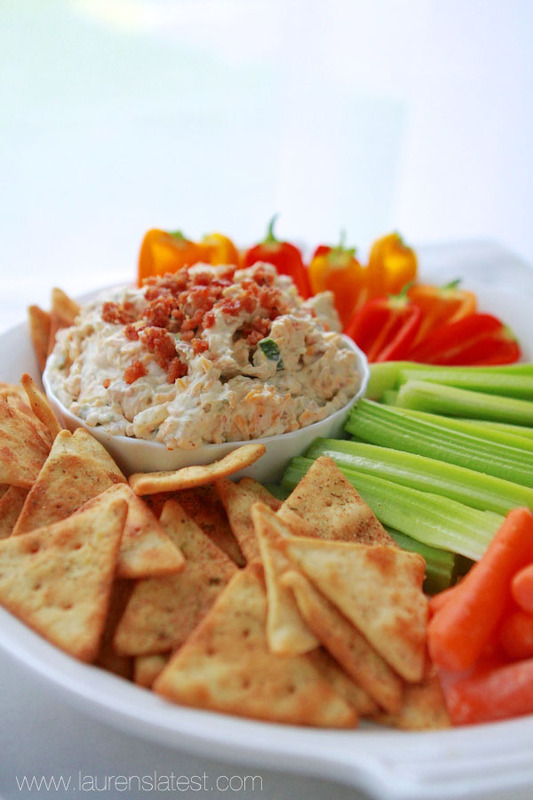 Cheddar Bacon Ranch Dip is the ultimate treat to serve your guests. Paired with chips, you’re in dip heaven. Served with veggies, you can appease a guilty conscience. 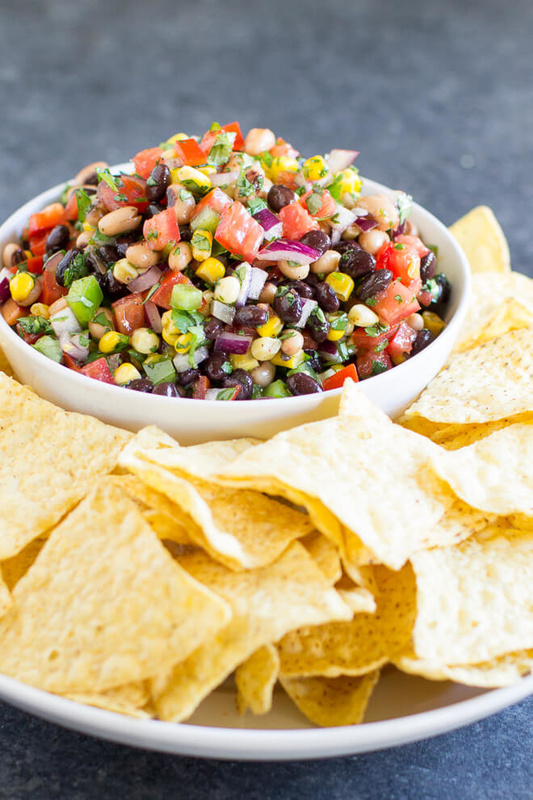 For a “cleaner” dip, try Cowboy Caviar, a colorful and versatile salsa to pair with just about anything. Hint: this is a great garnish for tri-tip! There is a sort of unwritten law about Memorial Day: you have to BBQ. If you don’t own a grill, or the weather is not permitting it, order takeout BBQ. The BBQ rule is one you should follow. Finger-smacking ribs are an excellent choice for honoring the Memorial Day law. 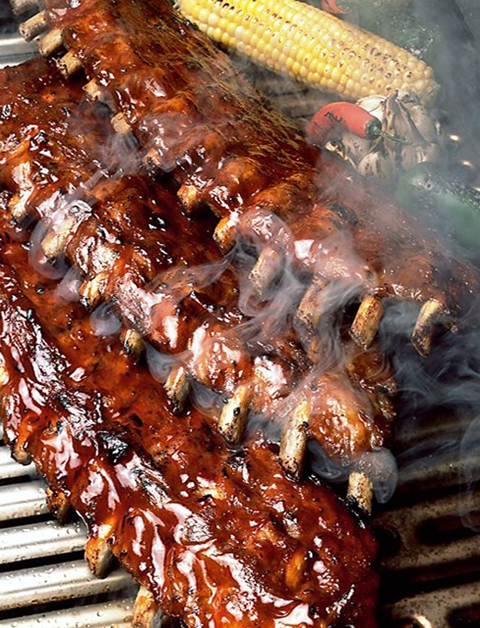 This American recipe for BBQ Ribs uses a 2-liter bottle of Coke as a base. Hotdogs are always a popular choice for Memorial Day cookouts. How about taking the hotdog to a whole new level by wrapping them in bacon? 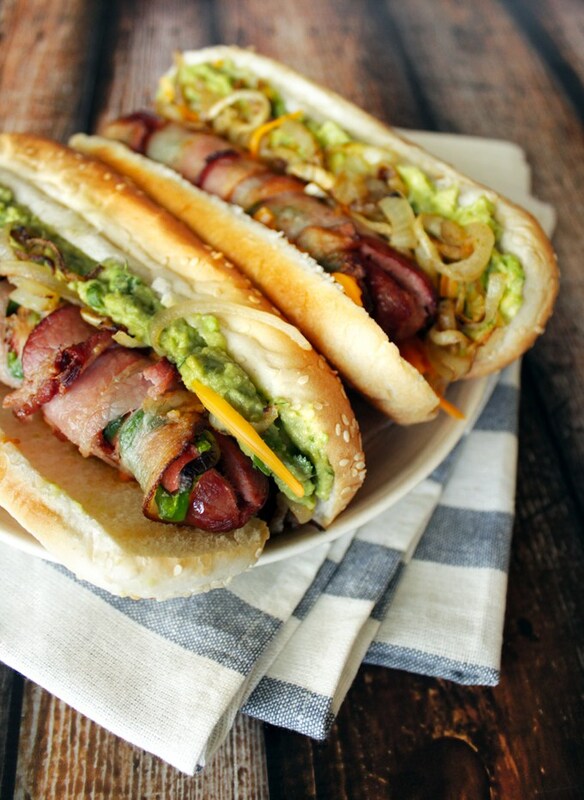 Bacon-Wrapped Jalapeno Hotdogs served with–wait for it–GUACAMOLE! I die. Ok, ok. Let’s balance out all this bacon with some chicken. 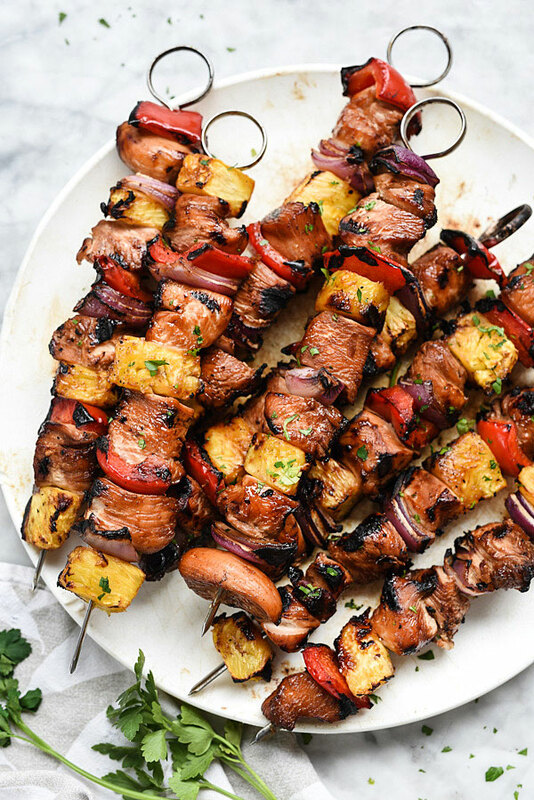 I tend to find chicken rather boring, but these Hawaiian Chicken Kebabs look absolutely incredible. These would be a good option to pair with either the ribs or hotdogs so that guests have a lighter choice in meat. When it comes to cookouts, the side dish possibilities are endless. 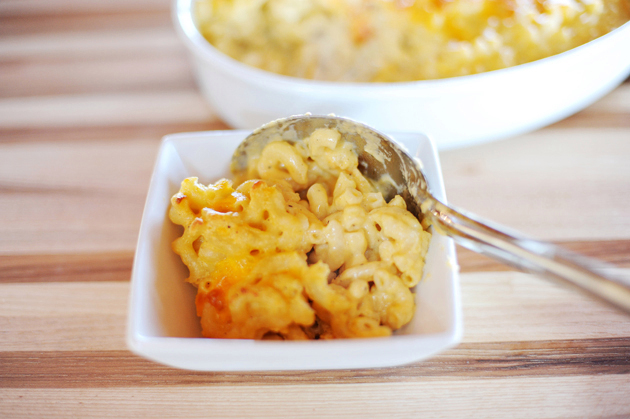 Baked macaroni and cheese is always a crowd-pleasing side dish. Interesting enough for adults, mild enough for the kids, this Baked Macaroni and Cheese is an excellent dish to pair with your BBQ. 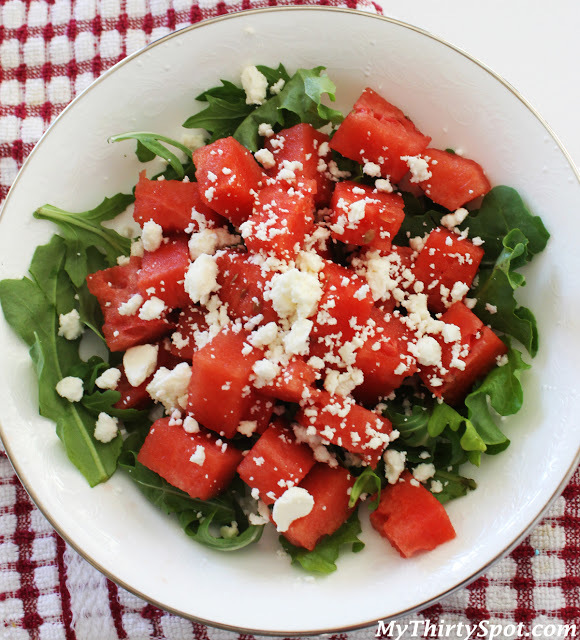 To add some color and fruit to the mix, consider serving Watermelon Feta Salad. Served on a bed of arugula, this salad is perfectly light and refreshing. Another classic American side dish is baked beans. Check out this recipe for Best Baked Beans Ever and get some inspiration. 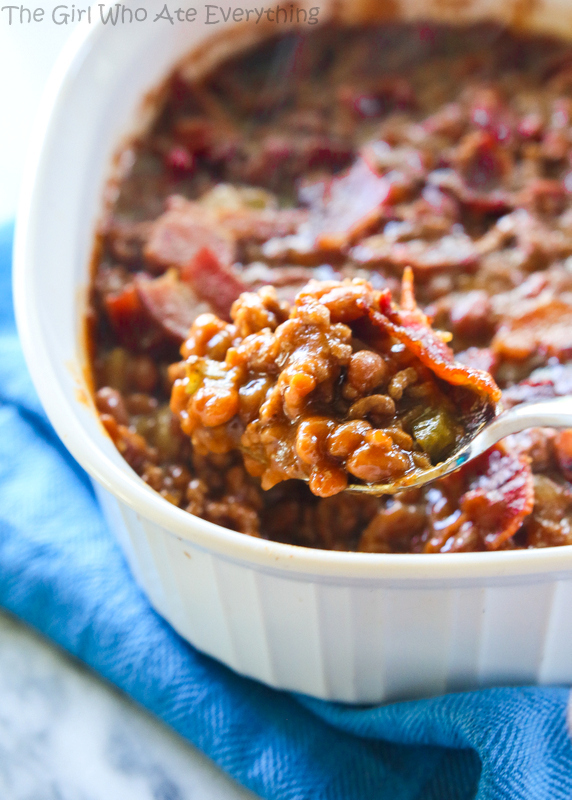 This is baked beans meets award-winning chili. Sweetness, heat, BACON–wow. It would be a miracle if your guests have any room left after all these fabulous dishes; however, we have to talk about dessert. 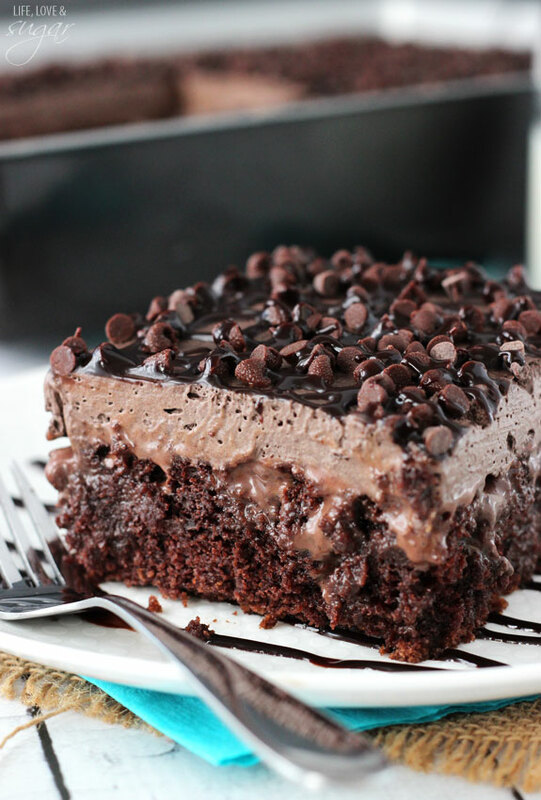 For something dreadfully decadent, we recommend this Chocolate Poke Cake. Holy holy–doesn’t that look amazing? The texture is light and fluffy with tiny pops of mini-chocolate chips. 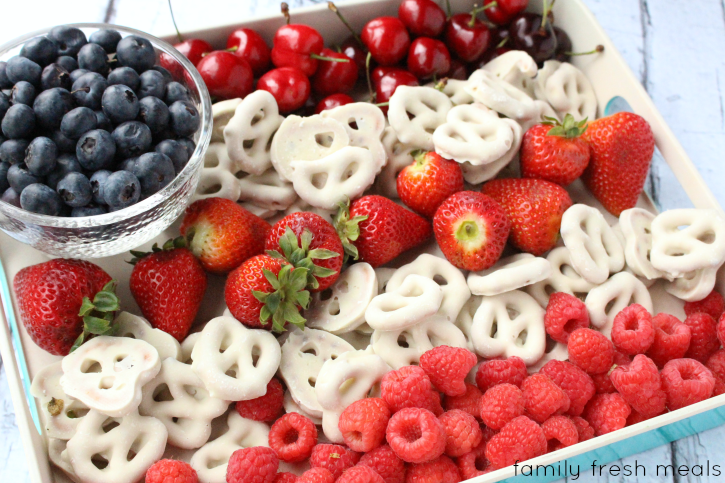 For something a little more simple and light we like Flag Fruit Tray. All it takes is some yogurt-covered pretzels and berries. Doesn’t really get any easier than that! Memorial Day is a special day to enjoy being an American. Make sure you celebrate it right with these great dishes!